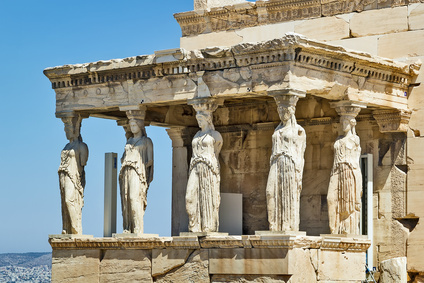 Ancient Greece has long been hailed as instrumental in the development of Western society and philosophy. Today, the remains of many temples, amphitheaters and civic structures built during this era can still be seen. 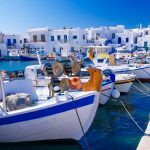 Traveling around Greece’s ancient sites on a budget is easy thanks to a combination of good quality Greece hostels and cheap public transport links that are geared towards independent tours of the points of interest. In central Greece on the edge of Mount Parnassus, Delphi is one of the largest archaeological sites. An important point of worship for Apollo, it was the site of the Delphic Oracle and was even held to be the center of the earth due to the presence of a sacred omphalous stone. 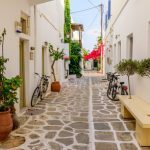 Delphi is now a pleasant modern town, its narrow streets and welcoming tavernas brought to life by the tourists attracted to the nearby remains. Among the ruins to be found here are a well-preserved theatre with a view of the entire sanctuary and valley below and a mountain-top stadium home to the Pythian Games (a precursor to the Olympics). Many visitors to Greece arrive in Athens and take a brief look at the jumble of concrete and a coach trip to the Parthenon before jetting off further afield. 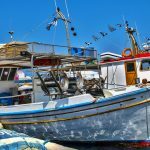 However, beneath the brash, modern exterior of Athens there is a wealth of history and culture to explore beyond its most famous tourist spot. 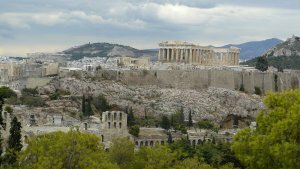 Athens hostels offer budget accommodation for backpackers wanting to discover the archaeological wonders of the capital city and experience the unexpectedly vibrant club scene at first hand. Often missed on the scramble up the Acropolis, the Ancient Agora of Athens was the civic, commercial, and political center of the city’s ancient civilization. Strangely underrated, it includes an interesting set of remains from the Augustan era including the Odeion of Agrippa, the Temple of Ares and the Early Roman Podium Temple. Just to the east, the Market of Caesar and Augustus (the Roman Forum) later became the main market of Athens, taking over the commercial functions and importance of the Greek Agora nearby. North of the forum is a multi-purpose meeting place that’s become known as Hadrian’s Library. It’s a fascinating public and cultural space that would have contained a garden, works of art, a library, and lecture halls. Across from the Acropolis, the Hill of the Muses (Museion) is home to the Roman Philopappos Monument and a small Byzantine chapel with detailed frescoes. However, the most significant feature of the Museion is its view of the Acropolis. With fewer tourists and no modern structures rising between the two hills, it’s the perfect spot to appreciate the scope of the city’s most famous sights. 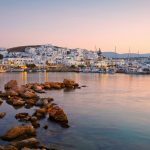 South of Athens, the Aegean islands are a popular spot for travelers looking for an affordable break with plenty of sun, sea and sand with more than just a dash of ancient culture. 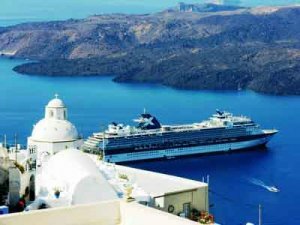 The small archipelago of the Santorini islands is home to a large Bronze Age settlement at Akrotiri which has been preserved by a volcanic eruption. The nearby Museum of Prehistoric Thera holds the large collection of artifacts found during the excavation. 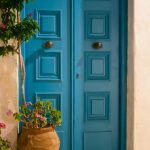 With hostels in Santorini readily available, staying on the island could hardly be easier – or cheaper. And with its ancient remains, beautiful stretches of beach, lively cafe culture and flourishing local wine industry it’s certainly a tempting destination.